Cool Climate Durif  You must be kidding! No we are not kidding! 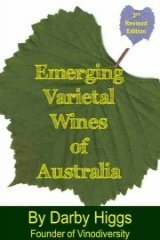 In 1999, we were researching unusual varieties for planting at our new cool climate vineyard at Balnarring on the Mornington Peninsula, some 80km south of Melbourne, and noted that Durif was regarded as an early ripening variety (John Gladestones  Viticulture and Environment, 1992 page 67) along with Tempranillo (another variety we planted) and should be suitable to our site. 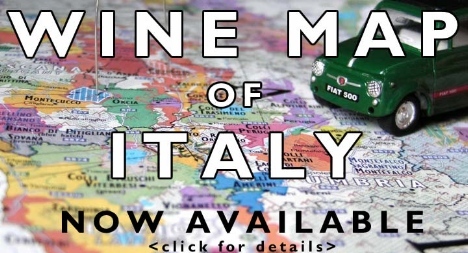 The author, John Vale is Proprietor and winemaker at Vale Wines, a specialist in innovative and hand made wines on the Mornington Peninsula. Vale Wines also produces a Tempranillo and a Pinot grigio. Discussions with various experts (including Dr. Richard Smart) indicated that Durif (Petit Syrah as it is known in USA) was very prone to bunch rot and our cool maritime climate with an annual rainfall of some 750 mm., would prove to be difficult. It had originally been developed in the Southern Rhone area of France by Dr. Durif in the late 19th century by crossing true Syrah with Peloursin, but, today, very little remains in France because of the bunch rot problems. A recent visit by my daughter Caroline (a winemaker at Leasingham Wines) to the Southern Rhone area found that Durif is still grown in small quantities to add colour and tannin to Rhone wines, but not declared as it falls outside the appellation controlee regulations. Durif has been grown in the Rutherglen and Riverina areas of Australia for many years and has produced massive wines with great tannin structure, deep, deep colour and traditionally high alcohol levels ideally suited to long term cellaring. Would the cool climate of the Mornington Peninsula be able to tame the beast? Would the crop succumb to disease? After two vintages experience, we can now report the wine shows similar characteristics to the Rutherglen style, but with less ripe fruit, less tannin and a degree of spiciness derived from its Shiraz origins. This results in a more elegant style of red wine not dissimilar to a cool climate Shiraz. The crop levels are enormous and judicious heavy pruning is necessary to achieve full ripening of the bunches. The 2004 vintage of Durif from our vineyard achieved an alcohol level of 15% and there was no bunch rot evident. Another great advantage of Durif is that it is not susceptible to Powdery Mildew  a constant problem in cool areas such as ours.